Senior Kat Wollf's band the Wolff Sisters and the Last Cavalry are recording their first album. Senior Kat Wolff already released two EPs and traveled the northeast with her sisters Rachael and Rebecca in their folk rock band, the Wolff Sisters and the Last Cavalry. 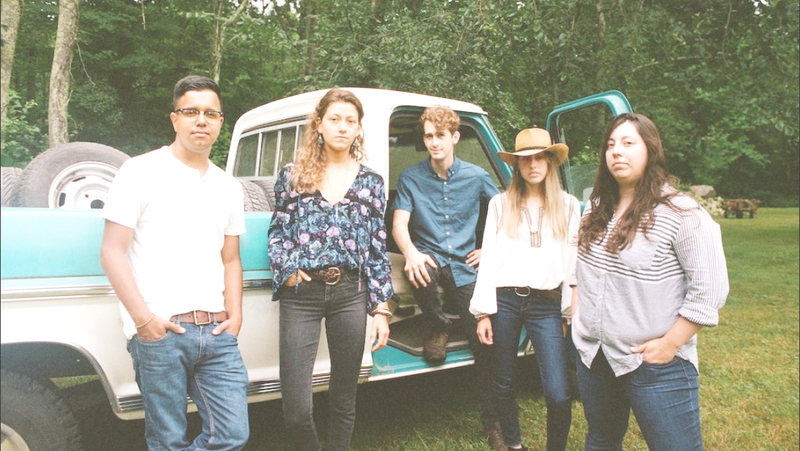 Last weekend, the group started recording their first album with a new goal in mind: to perform in front of audiences across the country and to land a spot at the Newport Folk Festival in Rhode Island. “For some people, it’s Coachella. For us, it’s the Newport Folk Festival,” Rachael Wolff said. The currently unnamed album includes nine original songs and will likely be released by January. The group started recording the record Sunday at Dirt Floor Studios in Connecticut. Their GoFundMe for financial support raised $5,345 of their $12,000 goal as of Nov. 8. “This new album would be a huge step up for us,” Kat Wolff said. Wolff is the group’s only Emerson student and a music business major, an interdisciplinary major she created by combining performing arts and business classes. She plays the keyboard while her older sisters, Rachael and Rebecca Wolff, play electric and acoustic guitar. All three sisters sing together and take turns singing lead. The Last Cavalry—Will Rodriguez and Joe Soldati—join on certain songs with drums and bass. Rachael Wolff met the musicians while at playing at Berklee College of Music. “The members have changed, but we still call whoever is playing with us ‘The Last Cavalry’,’” Rachael Wolff said. The Wolff Sisters perform at restaurants and clubs like The Lizard Lounge and Atwood’s Tavern, both in Cambridge. Kat Wolff said the folk rock group’s influences are The Band, Neil Young, and Bob Dylan. Kat Wolff said she wants to give more music to their fan base. The group has 66 monthly listeners on Spotify. Kat Wolff said the band formed when she was a senior in high school and began performing professionally around three years ago. Chuck Wolff, the father of the three musicians, makes harpsichords, clavichords, and electric guitars. He said the sisters grew up with radio stations WUMB and Emerson’s WERS always playing in the house. Kat Wolff said the sisters collaborate when writing songs. She brings a chord progression to Rachael for lyrics, and after the two work together, Rebecca helps create vocals and harmonies. Rachael Wolff studied electric blues guitar at Berklee College of Music. She said she likes to write about places in Boston, their hometown, like a harbor near the North End or the Charles River. “We’re inspired to write songs that will last through the generations,” Rachael Wolff said. Kat Wolff said the band draws an older crowd because they focus on older genres, but they attract anyone who admires Americana music. “You get new people who are interested in that kind of music, and you get older people who are like, ‘Wow, there are still people who want to carry this music forward into the future,’” she said. Kat Wolff said the group operates without an agent and hopes to stay independent as long as possible. Rachael Wolff said Boston has an excellent scene for rising bands. Kat Wolff said that although The Wolff Sisters have received a lot of support, prejudice toward women in the music industry has often confronted the women-fronted band. She hopes the band can help change the industry's male dominance. The Wolff Sisters are making the album despite failing to reach their fundraiser’s benchmark.